It’s fantastic to have the freedom of your own set of wheels on holiday for getting around resort and exploring the surrounding area. 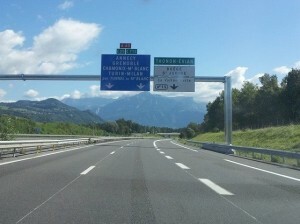 Annecy, Chamonix and Yvoire on Lake Geneva are all around an hour’s drive from Samoens and make lovely day trips. If you’re planning on flying to Geneva (our closest airport at 60km from Samoens) and hiring a car, there are a few things worth considering to ensure you have a pleasant start and finish to your holiday. As Geneva airport is in a unique position standing between two countries you can hire a car from the Swiss or French sectors of the airport. As well as comparing the quotes for car hire, you need to consider where and when you’ll be driving and the applicable driving laws (and costs) for those countries.